Bergamot Mint has a fresh citrus aroma with subtle minty undertones. It has a calming, yet uplifting effect on the emotions. Also helpful for respiratory and digestive problems including nausea, the immune system, menopausal symptoms and sore muscles. 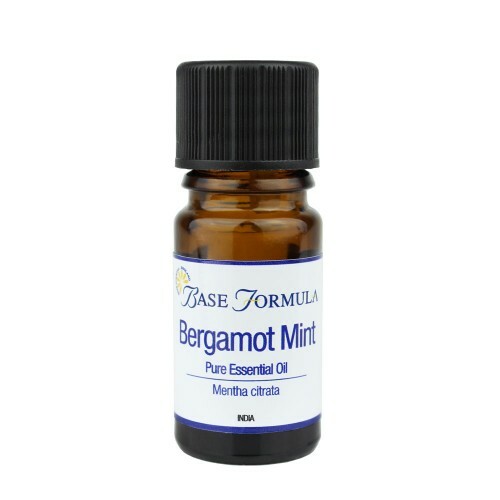 Bergamot Mint (Mentha citrata) essential oil, sometimes called Lemon Mint, Citrus Mint or Eau de Cologne Mint, is steam distilled from the flowering tips of the perennial herb. 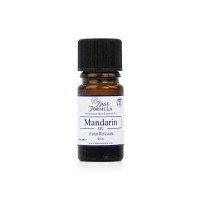 The essential oil has a fresh, citrus (Bergamot-like) aroma with gentle minty, herbal undertones. Although belonging to the mint family, Mentha citrata oil contains only 1-2% menthol and small traces of cineole, making it far gentler and less intense than other mint oils. 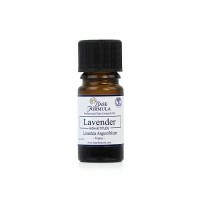 It has similar chemistry and properties to Lavender essential oil and can either be used as an alternative to Lavender oil, or in conjunction with Lavender to produce lovely synergistic blends. Non-toxic. Spot test first with sensitive skin. Do not use during pregnancy. Bergamot Mint’s antiseptic and anti-inflammatory properties can be helpful for treating oily and acne prone skin. Bergamot Mint essential oil is very calming for the nervous system, helping to reduce feelings of stress, anxiety, fear and panic. It can also promote a more restful night’s sleep. Whilst it helps to calm and relax the mind, it also has an incredibly uplifting effect on the emotions, helping to energise, inspire and encourage feelings of happiness. Bergamot Mint has anti-inflammatory, anti-spasmodic, analgesic and carminative properties. Like Peppermint it can be beneficial for the digestive system, helping to soothe upset or nervous tummies, nausea and travel sickness. It can also be useful for easing sore muscles. In addition to this, Bergamot Mint can help support the immune system and offer respiratory support, calming inflammation and clearing mucus and congestion. Its cooling, uplifting properties are also thought to be helpful during the menopause.